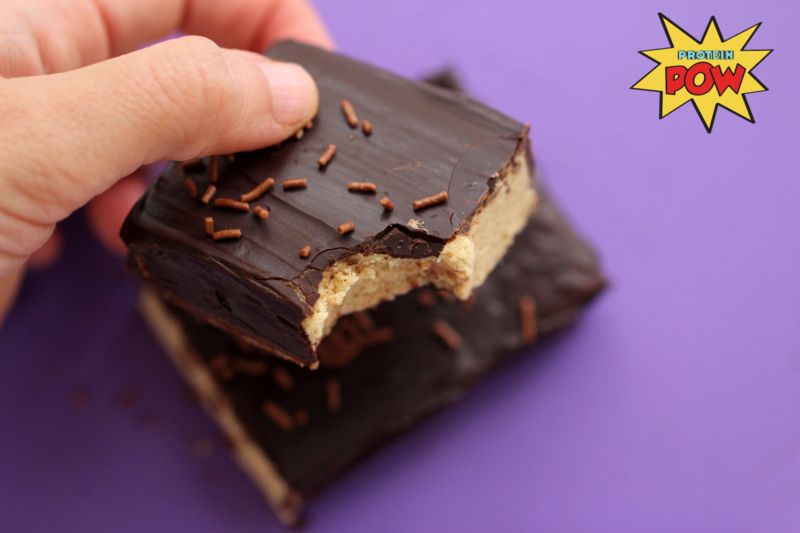 I’m about to give you three different variations to the best peanut butter protein bars you’ve ever had! Don’t believe me? Try them and you’ll see. All recipes are in both cups AND grams below (let me know in the comments below if you dig this method best). 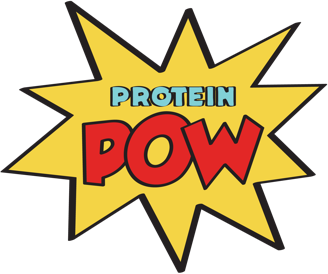 One of the recipes is what we like to call ‘The Original Protein Pow Protein Bar’ version, the second version is a low-carb version of the original and the third is a vegan version. The directions for all versions of these bars are the same so just scroll down below. I’ve included macro data under each recipe too! 1. The type of peanut butter you use makes a big difference here. I recommend you try a nut butter that’s 100% peanuts – no palm oil, sugar, no nonsense. At home and at the office (and at all our workshops!) we always use Meridian’s nut butters because they’re 100% nuts. In the US, we go for the ones you’re able to make yourself, from scratch, at places like Whole Foods! They’re 100% peanut butter and lush. 2. 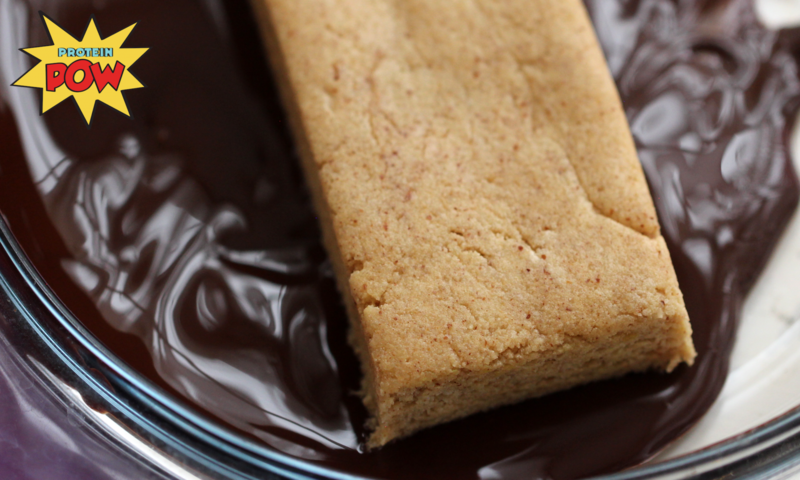 All of the recipes below yield 4 traditionally-sized protein bars. If you want to make a tray-full, just multiply the ingredients! 3. Feel free to try ALL of these recipes to see which ones you like best! Macros per bar (out of 4): 95kcals, 7g carbs, 6g carbs, 5g fat and 2g fibre. Macros per bar (out of 4): 132kcals, 7.8g carbs, 7.45g protein, 8g fat and 2g fiber! Macros per bar (out of 4): 135kcals, 3g carbs, 9g protein, 8g fat, and 8g fiber! Combine all ingredients in a big bowl and, using your (ideally gloved?) hands, press everything together until you get a big and delicious protein dough. Taste it but control yourself, you don’t want to eat it all yet, even though you’ll want to! 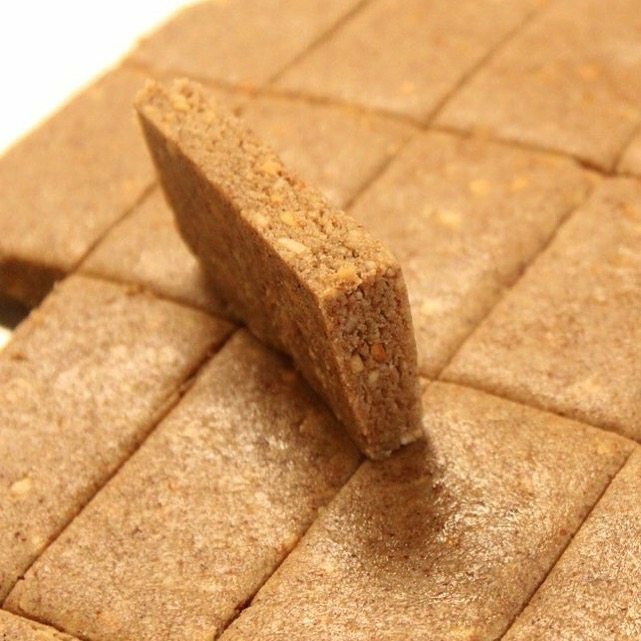 Keep the bars refrigerated and in an air-tight container after making them. This goes for any/all POW recipes you make. Keep them in the fridge and enjoy them within 3 days! Alternatively, you can freeze them and enjoy them within a month. Just make sure they’re in an airtight container when you do and don’t re-frost after de-frosting.